Educators & parents are now aware that kids should be learning more about engineering and technology; while CAD software and 3D printing are the most common entry points into these subjects, not everyone knows how to introduce kids to CAD and ‘3DP’ in an easy and fun way. We compiled a list of the best beginner software, but just in case that’s not enough, we also gathered tips from 3D Printing educators about how to make CAD and Modeling fun for kids of all ages. You may already be aware that the engineering and technology industries are expecting to see the shortage of engineering professionals grow. This shortage represents the lack of training/interest in STEM (science, technology, engineering, and math) subjects which has led to a shortage of qualified workers in numerous science and technology fields. We at Sculpteo know how important it is introduce young people to engineering and technology as early as possible, and that’s why we compiled a list of beginner software that will help young people learn how to create amazing 3D printable files in no time. And to help you facilitate that learning process we are sharing two interviews with educators that specialize in Engineering and Technology. 3D printing can be used in so many ways it’s hard to place it in one category but that’s what is so exciting. It really can be limitless in all subjects. Just get creative and see where the kids take it. Sculpteo reached out to Sarah to discuss how Autodesk is making CAD and Engineering attractive to young people, and what they are doing to close the gap between students and Technology. In Sarah’s comments below you can learn more about Autodesk’s Tinkercad software and learn a bit more about why 3D Printing is a great medium for sparking interest in Engineering and Technology at a young age. In my role at Autodesk, I focus on working with students, teachers and educators to bring project based-learning into the classroom. The easiest way for many to get started is with Tinkercad, a free CAD software. Since it is an intuitive tool to learn the basics of design with solid modeling, kids of all ages have immediate success. I am in classrooms at least once a week, from pre-school to high school and they are all different. 3D design and 3D printing are reaching students because it’s new, exciting and grabs their attention. It also is exciting for teachers from all subjects. I have seen math teachers use 3D design to teach geometry, social science teachers use 3D printing to have students create the California Missions and an English teacher use it to recreate literary characters. It really varies but it can be used on so many levels that we are just beginning to see the impact. I am lucky enough to work for a technology company but be married to a teacher. It’s the best of both worlds to see how my husband, who teaches US History, brings 3D design and 3D printing into his classroom. I believe that by engaging students in new ways is the key to success. Focusing on students collaborating, communicating and being creative in new ways will help them acquire these skills to set them up for a lifetime. 3D design and 3D printing is another set of tools that students and teachers can use to continually be curious about the world around them. So yes, everyone should look at ways to bring these tools into the classroom, clubs and home. Kids are naturally curious. The first time that they hear the build plate of a 3D printer finish and lower is so exciting! It’s a collective “WOW”. The way that things are being made is changing the world, 3D printing is giving schools the opportunity to have students imagine something, design it in minutes and then hold it in their hand. These advances give kids the power that they can make anything. That’s pretty powerful. Who knows what they will create. It’s really easy to start with math or geometry. Especially with Tinkercad, where it’s based on solid modeling. Teachers can visually connect the concepts of volume, width and height easily. This helps students with various learning types to connect in a new way. It also helps them remember what they just learned. I also think there are great advances for 3D design and 3D printing for science or anatomy. 3D printing can be used in so many ways it’s hard to place it in one category but that’s what is so exciting. It really can be limitless in all subjects. Just get creative and see where the kids take it. Sarah do you have any advice for teachers/professors who want to incorporate 3D printing into their classrooms whether it be a desktop printer or using a printing service? Start small and build from there! You will mess up but that is what is so great. Let your students become the experts. 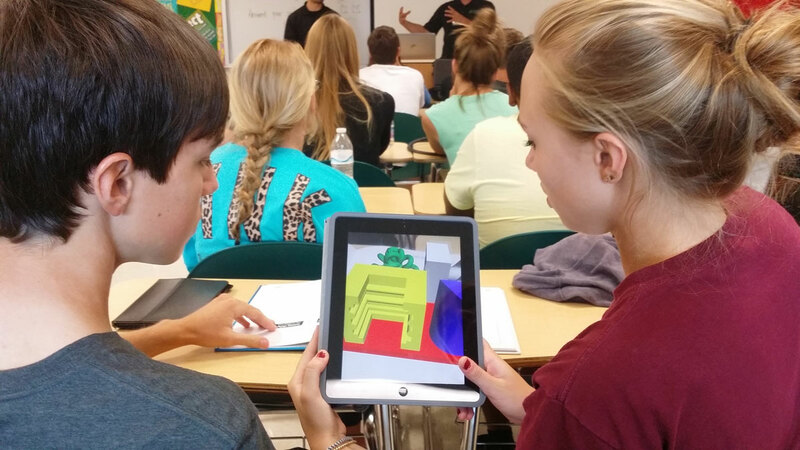 3D printing services, like Sculpteo, are great for educators getting started with 3D printing. Before making the investment in the hardware, printing services allow them to try it out. Many also offer discounts to schools too. Printing Service providers also have more material types for schools to choose from than your typical desktop printer. 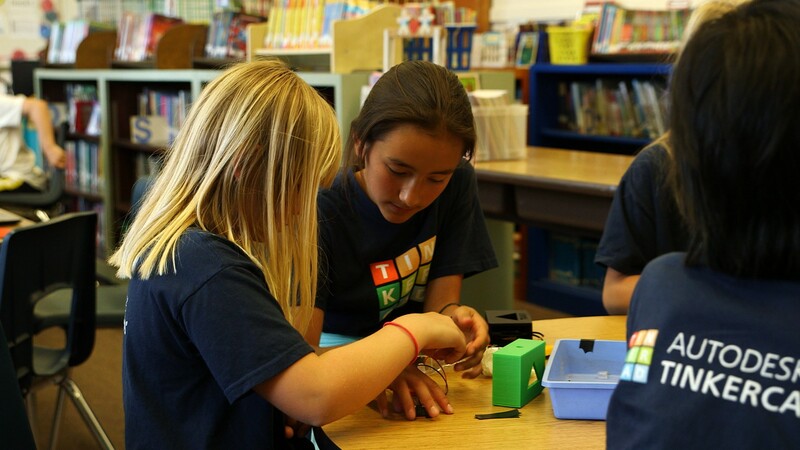 3D design and 3D printing are really new to the K-12 segment of education. When teachers specifically are comfortable or have a general interest, these types of emerging technologies are quicker to be adopted. Offering training and professional development for educators is also key. Alignment to the current standards will be a huge help for these types of emerging technologies to be adopted in the classroom as a faster pace. 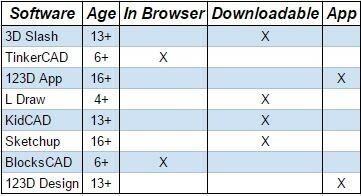 The compiled lists above offer all the information that you could possibly need on CAD & 3D Modeling software for young people and beginners, the learning curves and ease of use is a little high for some but these are all software that can be mastered by high school students and under. We have plenty of resources available on the Sculpteo site for anyone interested in CAD and 3D Design! Our most recent FREE eBook series is focused on adults interested in learning more about 3D modeling. You can also check out this list of free cad software both for beginners and professionals!